The God Almighty.Bronze covered. Russian Icons .19th centuryThe God Almighty.Bronze covered and in the box. Size 29*24.5cm. 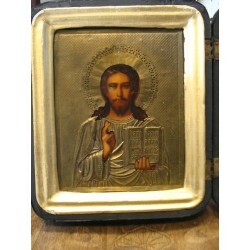 Russian icon size 23x8 sm.